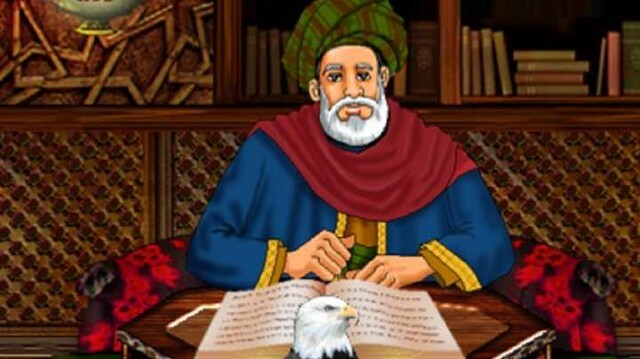 Mohammad bin Sirin or Abu Bakr al-Bassari, is known as one of the greatest dream interpreters of Islamic history. He was the one who was able to master this art of interpretation as he was blessed with wisdom, knowledge, and insight. Just as Prophet Yusuf had mastered this art, so did Ibn Sirin. Ibn Sirin was born during the Caliphate of Hazrat Uthman in 33 AH. He thereby had the opportunity to grow up under the guidance of great intellects such as Zaid ibn Thabit, Amran bin Hossain, Anas bin Malik, Abu Hurairah, and Abdullah bin Zubair. These companions helped him develop wisdom and insight. Even though he was short heighted and had hearing issues (slight deafness), his personality allowed him to socialize with other people and make his mark. He was a pious man who would keep fasts often. He had a business of textile. Both Anas bin Malik and Ibn Sirin had a strong relation. Ibn Sirin went to Persia to study from bin Malik. They were so close to each other that Anas bin Malik proposed that ibn Sirin shall be the one conducting his funeral prayers. When Bin Malik died in Basra, his funeral was conducted by his closest friend, ibn Sirin, as per his will. Ibn Sirin never wished to lead a life full of wealth and bounties. He led a simple and modest life. He did not use his art of interpretation of dreams to gain rewards or to earn a living through it. He was jailed for rejecting the gifts of Umayyad caliphate. He would spend a day in market and night in studies. Ibn Sirin’s book named ‘A Concise Guide for the Interpretation of Dreams’, is one of the most famous books in the art of interpretation of dreams. It is used as a great guide to interpreting dreams. However, the reference of Ibn Sirin to this book is not clear. However, it is authentic that Ibn Sirin would interpret the dream only on the basis of direct semantic meanings. It is said that he would read the minds of the people while interpreting the dreams. He would not interpret dreams in seclusions or so, rather would directly interpret the dreams. He would sit in the markets or at the councils, where people would come up with queries related to their dreams. Ibn Sirin would listen to their dreams and would tell its meaning to them. He would tell what was right and that made him bold in interpretation. Usually, interpreters interpret dreams according to people’s wish. Yet Ibn Sirin would tell what was truth and this quality of his caused him trouble. When rulers and influential people would come up with their dreams, he would boldly interpret them. What is the interpretation to see yourself swimming in a dream? What is the dream interpretation to see poison in a dream?